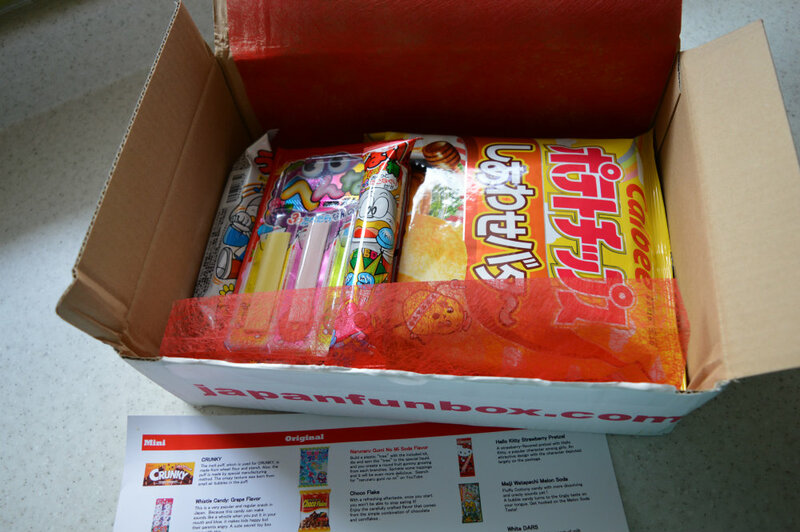 I was given the opportunity to review a new Japanese Candy & Snack Box, Japan Funbox, and I jumped at the chance! 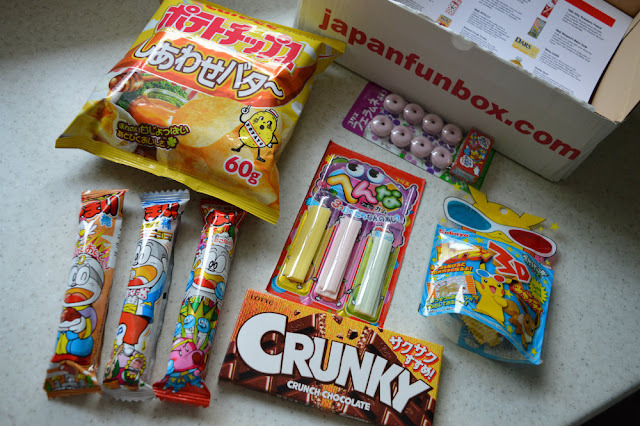 I absolutely love trying new Japanese candy and find myself perusing all the snack foods when I head to grocery stores that carry it. 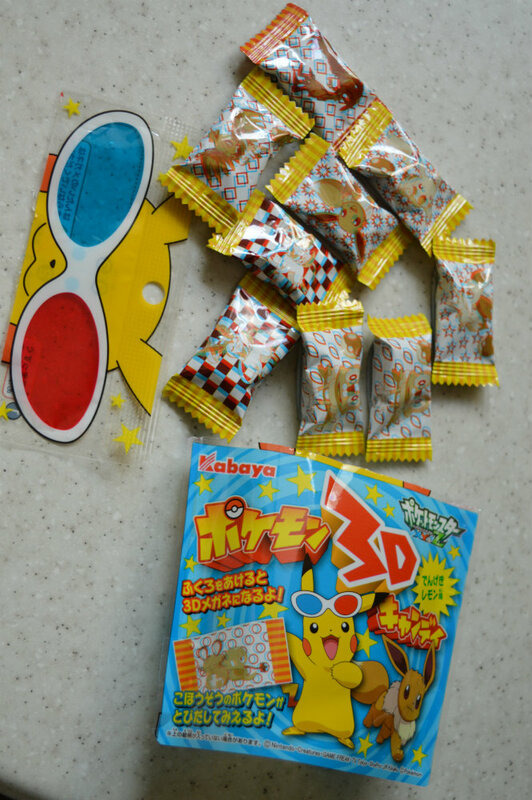 These candies were pretty generic - a hard candy with a bit of sour fizz in the middle. The sour fizz seems to be a common addition to a lot of Japanese candies. But with them being individually wrapped, they're great to throw in my purse and have on hand whenever I want a little bit of sweetness. 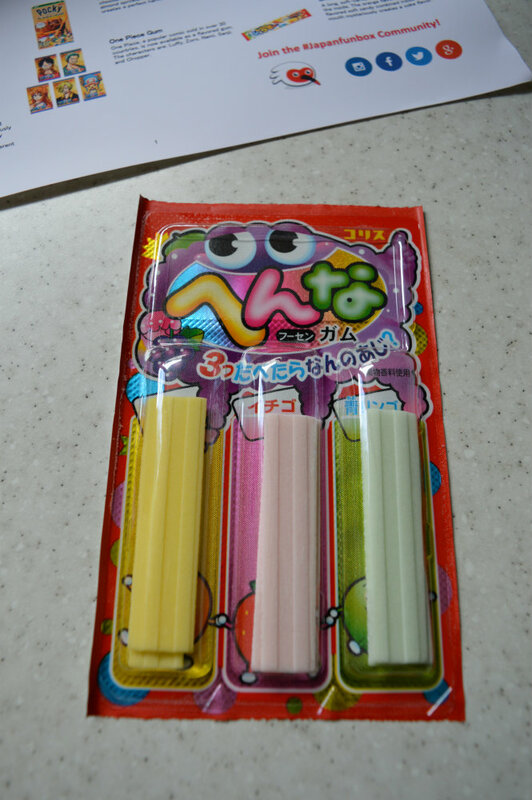 The sticks of gum were incredibly soft and flavourful. The flavours are lemon, strawberry, and green apple. It claims that when you combine all 3 flavours it turns into grape flavour. It did, but the grape wasn't very strong in flavour. 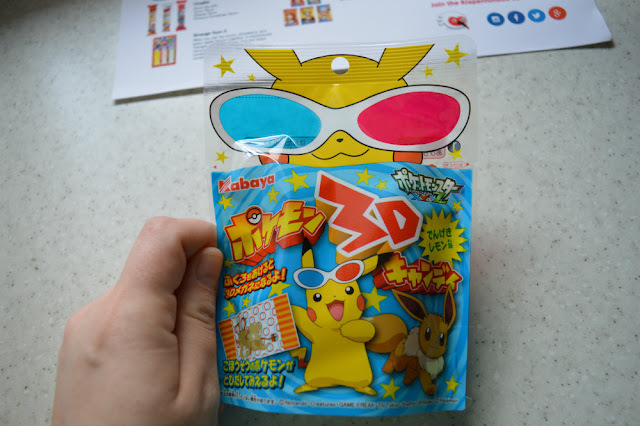 I'd prefer the gum flavours on their own. Now these candies were super grape tasting. I really liked their chalky texture and they disappeared quickly. 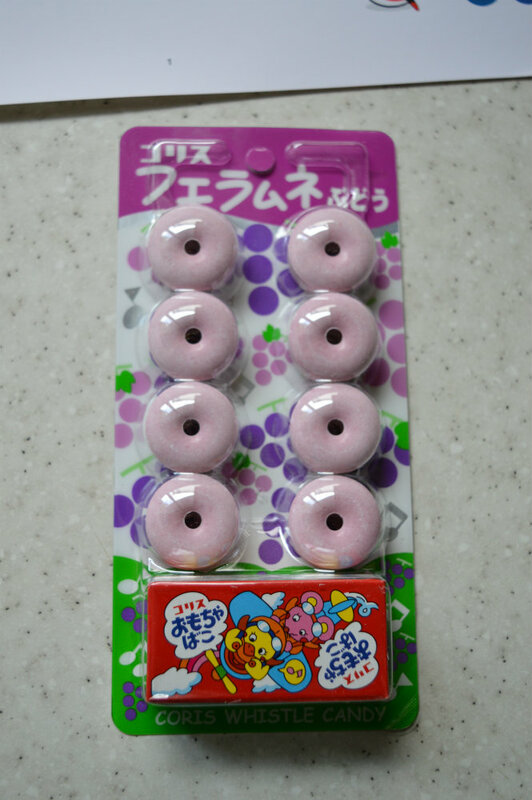 You can definitely make a whistle noise when you blow into the little hole, which intrigued my cats. 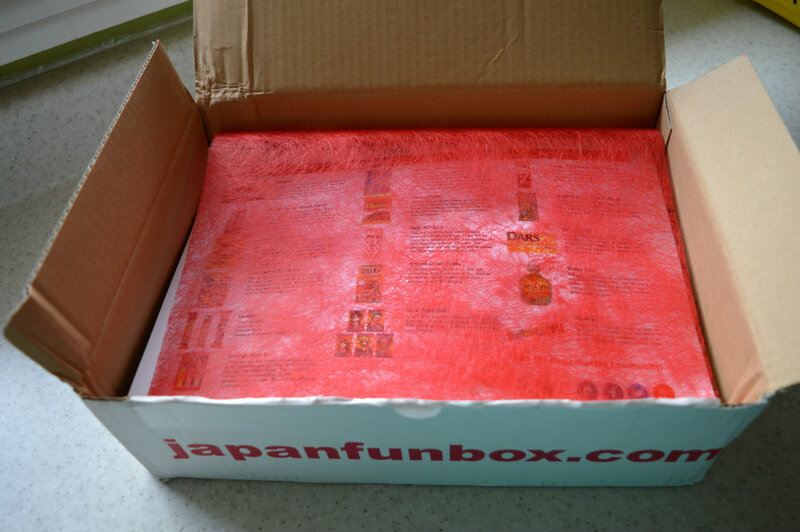 And my little secret toy? A tiny plastic monster for my shelf. 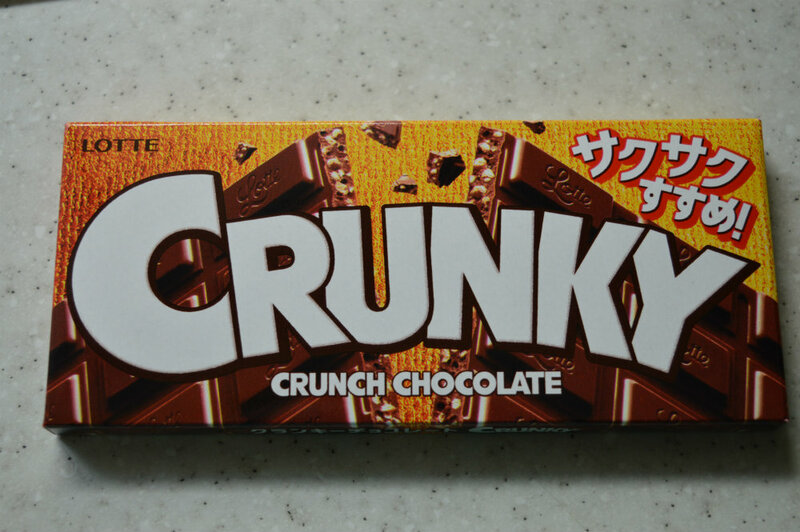 This chocolate bar was a mix of an Aero and Crunchy bar. 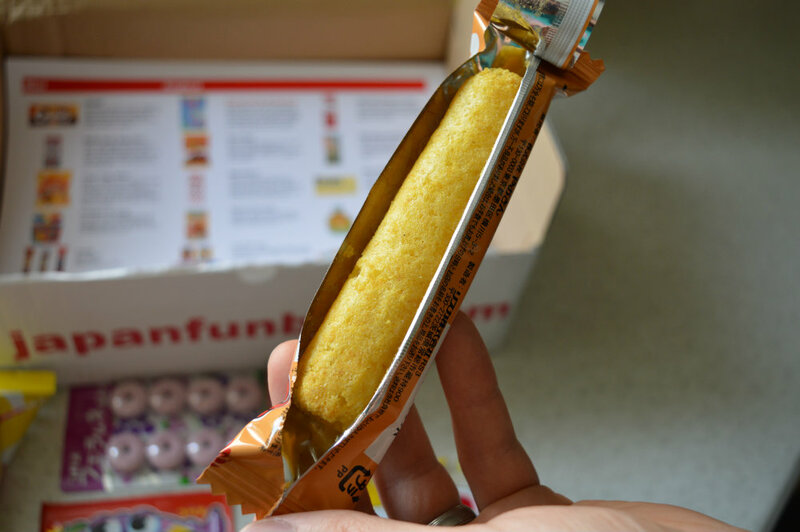 It was melt in your mouth light, but it had little crisp pieces throughout. 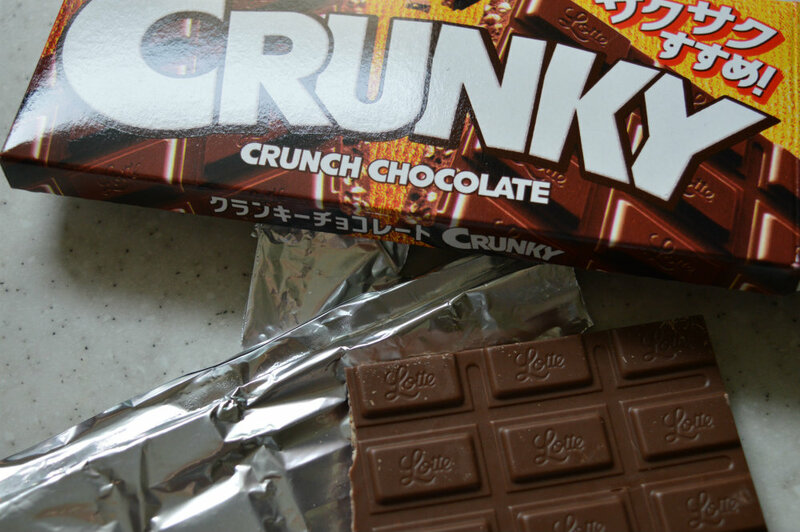 All in all, a good tasting chocolate treat. The flavour of these chips had me intrigued. 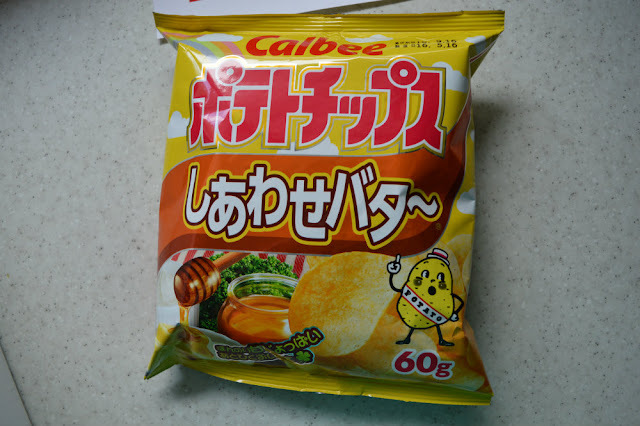 The 4 base flavours of these chips: butter, honey, parsley, and mascarpone cheese. Weird, right? They're actually incredibly good. 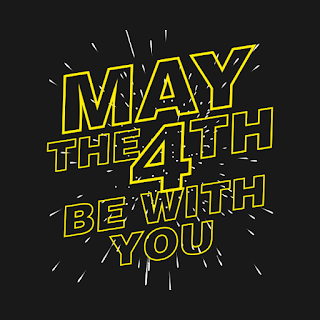 A little sweet, a little buttery. I enjoyed them thoroughly. I liked these little savoury sticks. The texture was incredibly similar to a classic Cheetos Puff. Crispy but soft and melt in your mouth. 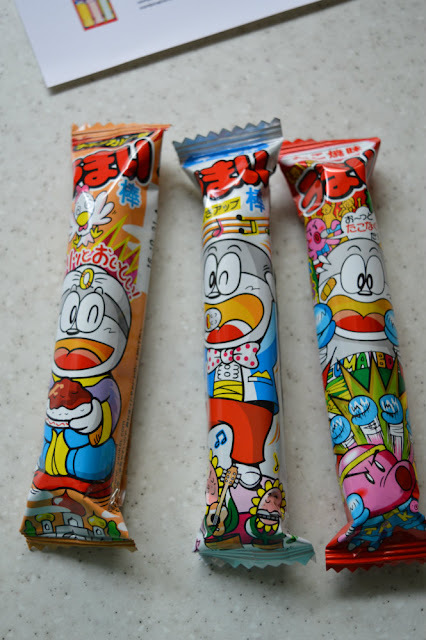 The flavours were fun and I enjoyed all 3. I loved reviewing the Mini Funbox and I couldn't recommend this subscription box more. 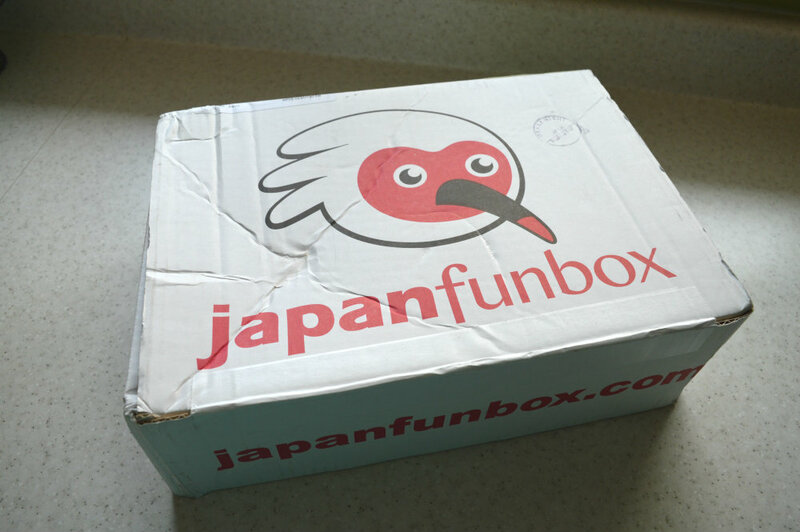 The shipping was incredibly fast, oh and did I mention shipping is free worldwide?! 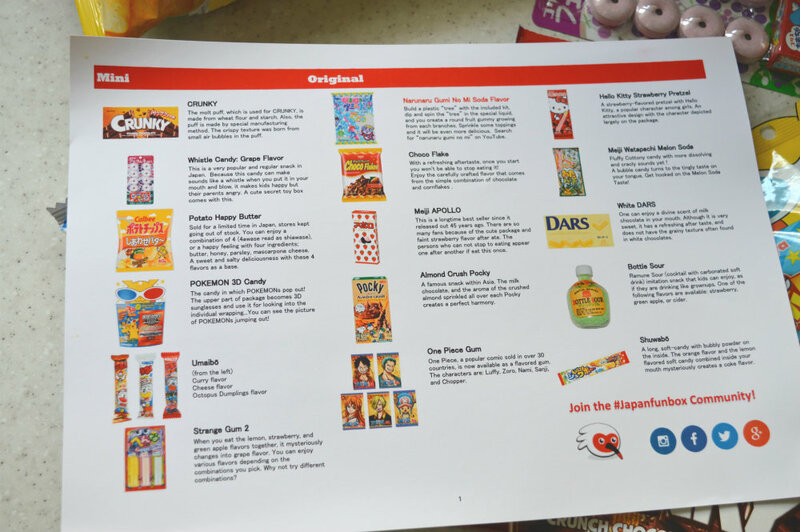 They offer a Mini, Original, and Family size funbox so you can decide how many snacks you'd like to try out. 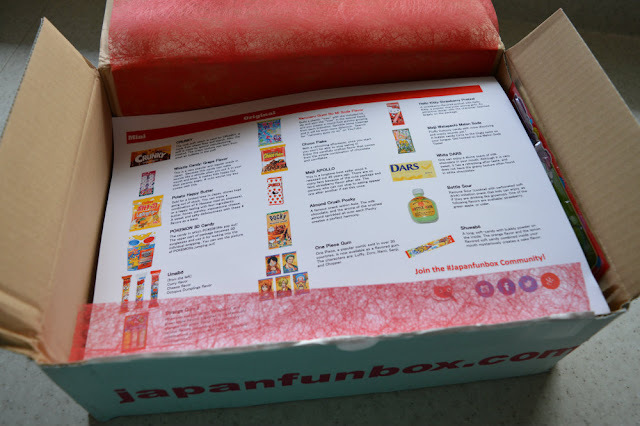 Definitely check out Japan Funbox if you're thinking about trying out a Japanese Candy and Snack box subscription.